The severity of red spots on your legs depends on its underlying causes. These come about as a result of different medical reasons and external factors. The spots may hurt or bleed; they could also spread to other areas of the body. It is important to understand the nature of the red spots in terms of sizes, shape and color in different causative conditions so as to better cope with it. The causes of leg rashes vary from meager to acute medical reasons. They could be due to skin pigmentation or an infection. When trying to understand these red spots, take note of their attributes as they describe its root causes. Study the shape and color of the spots. The spots can appear reddish, purple, or brownish yellow; they could also be flat, raised, or bumpy. Different conditions can cause red rashes. Besides being on the legs, these often occur on the hands, and torso. Its common symptom features the red spots or bumps. Take note that some will be itchy while others won't hurt. Certain red spots on your legs will require speedy medical attention and shouldn’t be taken lightly. Psoriasis comes about when the skin cell production is beyond the normal level. It affects about 8 million people in the US and does not have a specific treatment. Plague psoriasis is the most common type and is characterized by red spots on the legs that appear silver white and scaly. Though it cannot be eradicated completely, it is managed through various medications. Like other allergic reactions, red spot allergies vary widely. If the spots are caused by insect bites, they will be itchy. These will often occur when you expose your skin to outdoor activities like camping or hiking among others. For instance the bee or wasp sting effects will appear big, and itchy with painful hives. Some allergies causing red patches could be as a result of the skins reaction to cosmetics and medication. The human body is vulnerable to contamination or external irritation. The skin is particularly sensitive to any abnormality in the body as a result of such contamination. A good case in point is bacterial infections that cause red lesions on the skin that take time to heal. Although Eczema rarely contributes to red spots on legs, it occurs when the skin reacts to allergies or irritations. 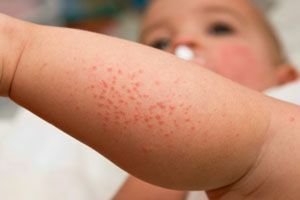 Eczema changes from skin rashes to healthy skin and bumps at different periods. It is common in children and often appears on the legs, face and neck. These reddish-brown spots can be found on legs, ankles and feet. They start from the legs and spread to other parts of the body. Its specific causes are unknown; the spots are painless, and arise from leaking blood vessels. The reddish brown color is due to blood cells release of iron content. This rare skin condition affects the fatty skin layer of the lower legs. It can also be found on the arms. This is a hypersensitivity reaction that could be accompanied by cold like symptoms such as fever, and body ache. It is characterized by painful bumps that become purple and brown. Although the spots may disappear after 6 weeks, they could resurface later on. Bowen’s disease or intraepidermal squamous cell carcinoma is a cancerous condition that affects the epidermis. This represents an abnormal growth of cells in the outer layer of the skin. It is defined by red patches on lower legs and other body parts. The condition could cause bleeding though it is not usually itchy. It is not a life threatening condition, but it should be treated immediately because when left unattended it could lead to cancer. This is a reddish brown skin disorder that develops around the lower legs. Its bumps are firm but could appear tender, itchy and painless at times. This non-cancerous condition exhibits firm bumps, which can remain on the skin for a pretty long time (years for that matter). It is advisable to seek medical attention in case the skin bumps become uncomfortable. Petechiae are red spots occurring because of a variety of reasons. These include physical trauma, strenuous activities, coughing and vomiting. Petechiae are tiny red spots from blood capillary leakage. Mostly, they develop on the legs, but they can also appear on other parts of the body. They are painless, do not itch and occur due to blood leaks in the skin vessels. It is not completely clear what causes red spots on legs, but there are varying possible causes. Other causes could be ingrown hair, or a reaction to sulpha drugs or birth pills. The red spots could imply a skin cancer condition, folliculitis, peripheral artery disease or diabetes. Proper diagnosis by a dermatologist is necessary before treatment. The nature of treatment given depends on the presumed causes. Spots around the legs might not disappear immediately, and hence it is advisable to seek medical attention from a skin specialist. This will ensure that you find the right cause for proper medical attention.